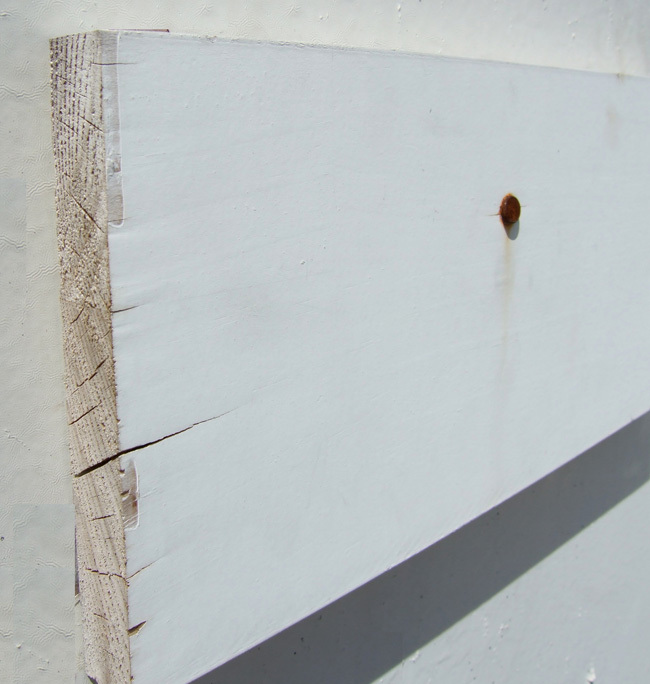 ArmorCore™ is clear fingerjoined LOSP-treated New Zealand radiata pine with two coats of oil primer. Protected against decay, insects and weathering, and featuring a 30-year ironclad 'Warranty for Reality', ArmorCore is 'Wood that Works™'. ArmorCore is suitable for interior use, but made especially to endure the harsh conditions of exterior applications. 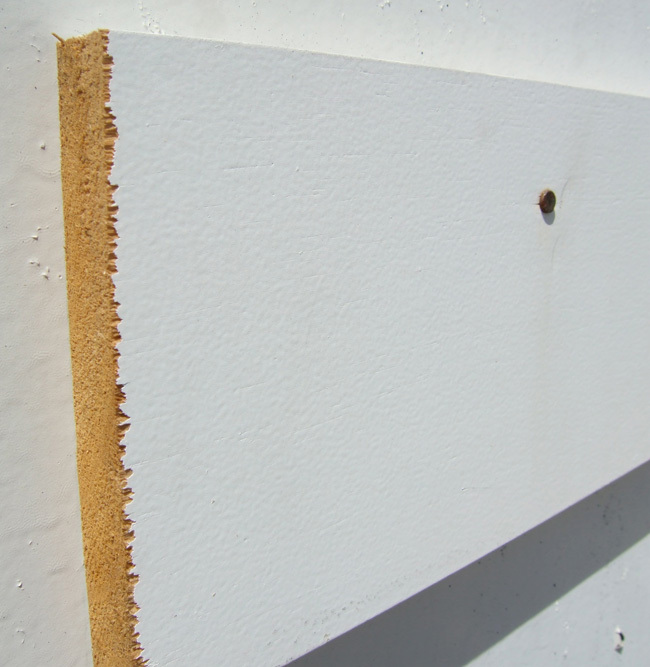 ArmorCore provides a level of protection that is unrivaled by other treated pine trim. Consider the results of this 'backyard' trial. 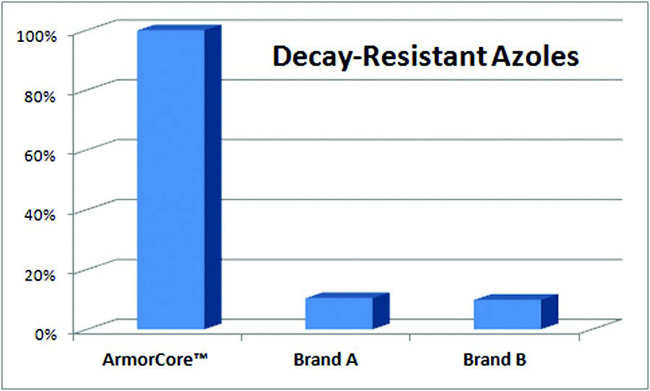 After three months of exposure, compare LOSP-treated ArmorCore with one of the leading borate-treated competitors. The difference arises because ArmorCore carries wood stabilizers which help prevent cracking related to moisture and wood movement. ArmorCore's treatment process also leaves more of the preservative compounds fixed into the wood than the borate process does. This chart shows how key ingredients measure up compared to pertinent AWPA standards. All comparable trim products require end priming or sealing, which done properly would help mitigate some of what we see in the above photos. But we think the true measure of a treatment's value is what happens when the paint - which is just a coating - is not done according to requirement, or fails over time as paint does.